What do you get when you combine the height of retail luxury, exceptional chef-driven restaurants, world-class lifestyle amenities, and exciting cultural experiences? Answer: Brookfield Place New York. This is a powerhouse combination any time of year, but add the spirit of the holidays in New York City and things are kicked into overdrive. 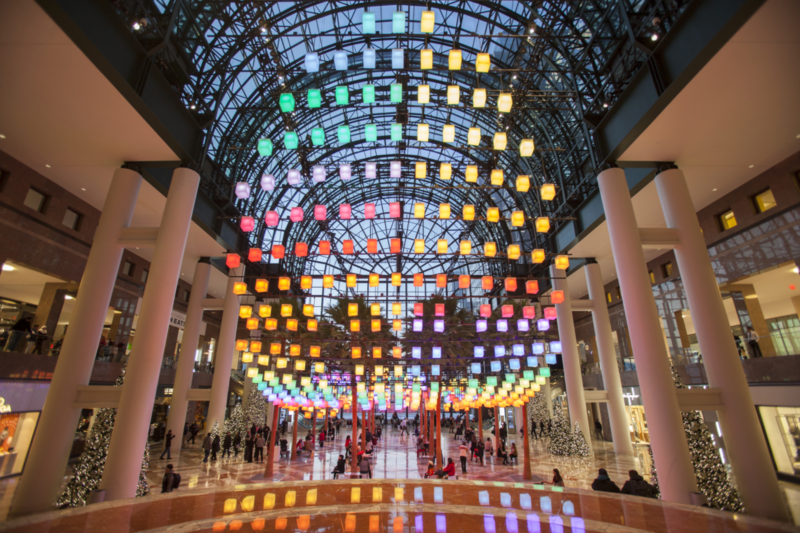 This December Brookfield Place is a beacon in lower Manhattan for seasonal shopping, dining, and the arts. Callie Haines, senior vice president, property management at Brookfield Property Partners and the co-directors of Arts Brookfield, Karen Kitchen and Elysa Marden, give us the details on what’s planned for this month and what’s expected for the future at Brookfield Place. Kicking off the holiday season at Brookfield Place is Luminaries, a mesmerizing light installation designed by the LAB at Rockwell Group and inspired by the season’s traditions of sharing, giving, and community. Visitors are immersed in a canopy of glowing lanterns suspended from the ceiling of the Winter Garden at Brookfield Place, each changing color and intensity. Touch-sensitive “wishing stations” on the ground invite visitors to send a holiday wish, which materializes as a burst of color traveling through the lanterns above, with periodic light shows adding to the holiday sparkle. For the second year, Brookfield Place has partnered with the GRAMMY Museum to support music education programs, donating $1 for every wish made up to $25,000. The Luminaries wishing experience lasts through January 8, 2017, after which the installation will remain on display until January 29. Free performances of New York Theatre Ballet’s The Nutcracker on December 2 at 7:00 p.m. and December 3 at 1:00 p.m. and 7:00 p.m. round out the opening holiday weekend at Brookfield Place. This one-hour production, choreographed by Keith Michael, is set art nouveau-style to Tchaikovsky’s beloved score. Quiet Clubbing on December 10 from 7:00 p.m. to 11:00 p.m. and December 11 from 1:00 p.m. to 5:00 p.m. will transform Brookfield Place into a high-energy dance party under the magic of the Luminaries canopy. Visitors will receive a special pair of headphones from which they can connect to three separate DJs, each spinning their own flavor. The color of the headphones changes with the DJ channel selected, so visitors can choose to dance with friends, groove with like-minded strangers, or rock out on their own. The holidays would not be complete without a visit to the “man in red” himself. Santa Claus returns December 2 through 24 to his newly designed holiday home on the second level of the 230 Vesey Shops at Brookfield Place, ready to create photo memories for all. The curation was a very collective effort driven by Brookfield’s retail leasing team. Our goal was to provide the highest quality unique collection of chef-driven concepts in New York. We drew not only from locally developed eateries but also fresh new concepts from other regions that Brookfield operates in, including Los Angeles, Washington, DC, and London. 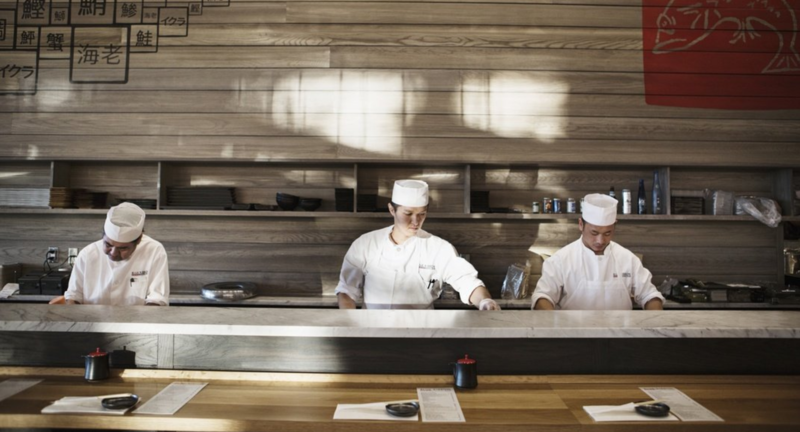 The team focused on an overall combination, especially in Hudson Eats, that collectively was diverse yet complementary. Similar to our retail offerings, we sought to create an environment that could not be replicated elsewhere and that drew its inspiration from the best up-and-coming concepts and chefs. Brookfield Place will continue to grow and, more importantly, evolve. We are constantly trying new things, whether it be with unique pop-up concepts or fresh arts and events programming. The personality of Brookfield Place is just beginning to be revealed, and, with each new venture we explore, that personality will not only be further defined, but Brookfield Place will also continue to morph into a uniquely treasured community hub and city destination. I would start by building up an appetite by skating on the outdoor plaza ice rink. I would then stop into Le District for a delicious crepe, followed by an exploration of the retailer-designed Christmas trees throughout the complex. This would likely inspire me to do a little shopping….Saks, Burberry, Vince, Joie…..at which point I would need to present my Christmas wish list to Santa! After a visit to Mr. Claus and his elves in the courtyard area, I would head over to Tartinery in Hudson Eats for a quiet glass of wine and rest my feet.